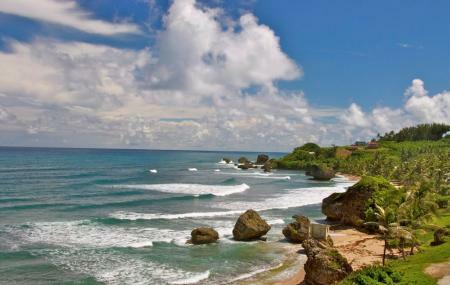 Located just north of the Bathsheba beach, the Cattlewash Beach is one of the longest stretches of beach in Barbados. Large, turbulent waves and strong currents make swimming dangerous in this area. However, reefs and protective rocks have formed a coastline of pools which are suitable for a relaxing dip. Mother Nature to the rescue! Away from the populated south and west coasts of the island, this beach is never crowded. A perfect place for romantic seaside walks. Entering the waters for swimming can prove dangerous. Please stick to the pools and the shore. 15 minutes walking distance from Bathsheba city centre. Renting a bicycle is recommended. How popular is Cattlewash Beach? People normally club together St. John's Church and Bathsheba Park while planning their visit to Cattlewash Beach. People also prefer to start their day with Cattlewash Beach.